An interesting graphic from NPR’s Planet Money series on the cost of college. 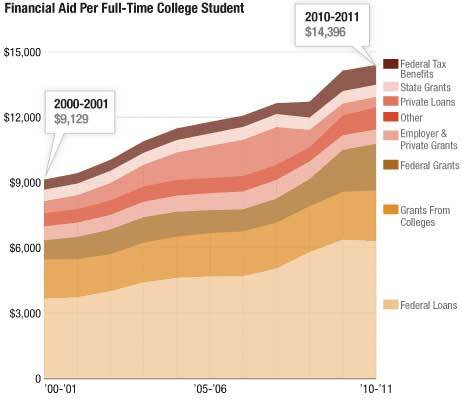 That’s a 37% increase in financial aid per student since the 2000-2001 school year. The increase is largely paid for by more federal loans, with smaller contributions from federal grants and private loans. Everything else seems unchanged.